Request for proposals (RFPs) for the urban park and waterfront trail development at Ontario Place have been issued by Infrastructure Ontario (IO). 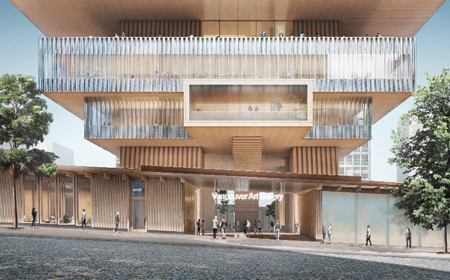 Final designs have been unveiled for the new Vancouver Art Gallery building. 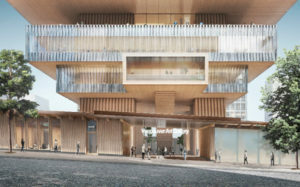 The Vancouver Art Gallery has unveiled the final designs for its 27,871-m2 (300,000-sf) building by Swiss-based architectural firm Herzog & de Meuron. Designed to serve the gallery’s expanding collection and to present art and educational programs, the new gallery will provide a global platform for Canada’s artworks. The architects have designed the gallery’s new museum as a sculptural, symmetrical, upright building combining opaque and transparent surfaces, with larger volumes concentrated at the top and minimal mass at the bottom. By lifting the bulk of the structure high above the street, the design allows light and air to filter down to an active, open-air courtyard. “The new Vancouver Art Gallery is a vertical building, distinctly spectacular at first sight, with an arrangement that resonates with the place where it is built. It offers ample outdoor spaces that are sunny in summer and protected from rain in winter, to suit the climate and life in British Columbia. Visitors to the building will be able to perceive Vancouver’s urbanity and its amazing natural setting in many different ways,” said Binswanger.